In 2009, the Iraqi-Dutch artist Sadik Kwaish Alfraji received a letter from his young nephew, while on a family visit in Baghdad. Ali made his uncle promise that he would only open the letter once he had returned to the Netherlands. 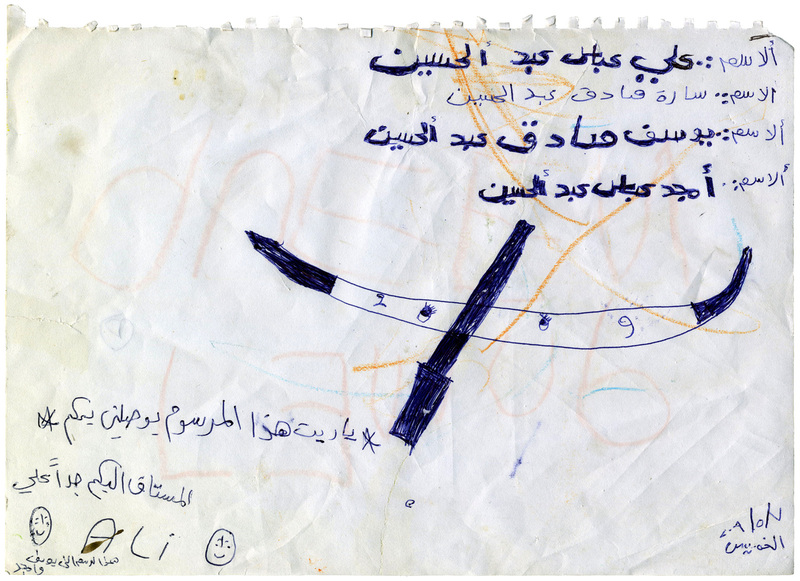 The envelope contained a drawing of a boat and one single sentence: “I hope my boat takes me to you”. This video is also showing at the Ellis Island Immigration Museum until September, part of the Red Star Line exhibit. I would like say it is a outstanding blog..Please keep updating same way..